People often say moving is one of the most stressful life experiences. It’s not just the logistics of getting your business packed up and moved over to a new office space — it’s the uncertainty of how things will work out once you have moved. Moving isn’t something you do on a regular basis, so it can be easy to feel lost in the process. You probably already have a budget in mind for your new office space. Your first question should obviously be in regards to monthly and total cost of the new office space. Once you have the basics down and you’re still interested in the space, your next questions for your leasing agent should cover what’s included in the fine print of your agreement. 1. What’s included in the rent price? Make sure you understand exactly what’s included in the rental price. For example: traditional office leases would cover the cost of utilities, but this isn’t always the case when leasing office space today. Make sure you know exactly what you’re paying for and exactly what is included in your monthly rental price. 2. What isn’t included in the rent price? Are there any additional fees that you will have to pay on a monthly basis that isn’t covered in the office rental price? This question is rather important when it comes to leasing office space, as hidden fees have the potential to add up. Make sure you factor any hidden costs into your budget before you sign on the dotted line. 3. Who is financially responsible for repairs, maintenance, and upgrades to the office space? This is usually included in your office lease agreement, but you never want to assume when it comes to costs and fees associated with leasing commercial property. Make sure you know exactly what is and isn’t covered, including asking about any repairs that need to be made to the office space before you move in (and even after you’re moved in). 4. Is renter’s insurance covered in the cost of the lease? Make sure you know whether you will need to factor in the cost of renter’s insurance for the office space into your budget calculations. Renter’s insurance is relatively cheap, but this is something you should always discuss with your landlord or leasing agent. 5. Will the rent increase over the term of the lease? What looks like a great deal now may seem less appealing if you suddenly face steep increases in your rental price. Many landlords are now including “escalation clauses” in their office space leases, which will set how and when rent may increase. This could include graduated steps over the life of a commercial lease (either based on agreed percentage increase or indexed to CPI). Another possible source of rent increase is the passing on of hikes in property taxes or utilities. In addition to knowing how much you’ll be paying for the office space, you’ll want to be clear on exactly what your money will be getting you. 6. What services and amenities are available? Depending on the commercial building type, you may have access to services such as 24/7 security and reception. Telephone, internet, and guest WiFi may also be included. There may also be shared amenities and spaces, such as boardrooms, lunch rooms, etc. Depending on services and amenities included, they may outweigh the cost of cheaper office space. Is there parking at the building? How much does it cost for tenants? What about parking for your clients and guests? Parking can be an important factor when leasing office space for those in busier cities, such as New York City or Denver. You’ll want to see if parking is included, how much a parking pass will cost, and determine if this factor interferes with your ideal budget for your new workspace. 8. What’s the floor plan of the space you’ll be leasing? Be sure to get a copy of the office space floor plan early on in your negotiations, and carefully consider if it will match your business needs. Two office spaces may have the same square footage on paper, but the layout can drastically impact how much of that space is actually usable. 9. What are the signage opportunities available? Will people be able to easily find and/or identify your business? Can you use your company logo or nameplate in the building? 10. Who are the other tenants in the building — and what happens if your competitor wants to move in next door? Is the business next door going to generate a lot of noise in the building when you’re trying to have an important meeting with your top client? Will the clientele of your neighbors be off-putting to your customers? What happens if one of my closest competitors wanted to move into the building? You can negotiate these issues with your landlord before signing your lease if you think it’s necessary for your business. 11. What lease terms are available? Many commercial leasing agents will automatically put you on the longest lease, even when shorter terms may be available. Make sure you ask about alternative leasing options when looking for commercial office space. 12. Will you have an option to renew at the end of the lease? When your lease ends, unless it states otherwise, your landlord has no obligation to offer you the same office space or rental price. If you want to stay on at the end of your lease, you may find yourself facing a steep hike in rent to match market rates. Check whether a renewal option is included in the commercial lease and if not, consider negotiating one before you sign. 13. Will you be able to sublease? Say you find halfway through your office lease that the space is no longer meeting your needs or you must relocate back to your home state for an emergency. What do you do? Can you sublease the office space? If so, what terms will you need to meet? For example, the landlord may have specific requirements for the kind of tenant you must find to take on the space. 14. What happens if the landlord goes bankrupt? Change is constant. While you can never predict the future, you can make sure that you are protected in the event of unexpected circumstances. One such protection is making sure your commercial lease has a “recognition” or “non-disturbance” clause. This means that you stay in possession of the leased office space, even in the event of a foreclosure. This may seem like a lot of information to gather, but by taking the time to fully understand your lease now, you can save yourself a lot of time (and headaches) in the future. When it comes to leasing office space, it’s better to be overly prepared than not prepared enough. 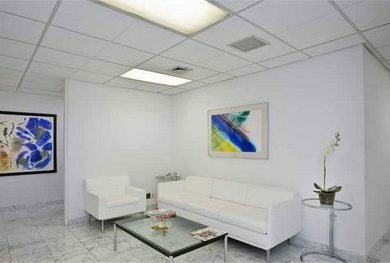 Bevmax Office Centers offer the most prestigious and affordable office space leases all throughout New York City. Learn more about our commercial office space, and find the ideal workspace for you and your business to thrive in.